IDAW can manufacture totally bespoke Aluminium glazed front doors in any RAL colour, textured or anodised finishes. We hold white and anthracite profile in stock at all times. 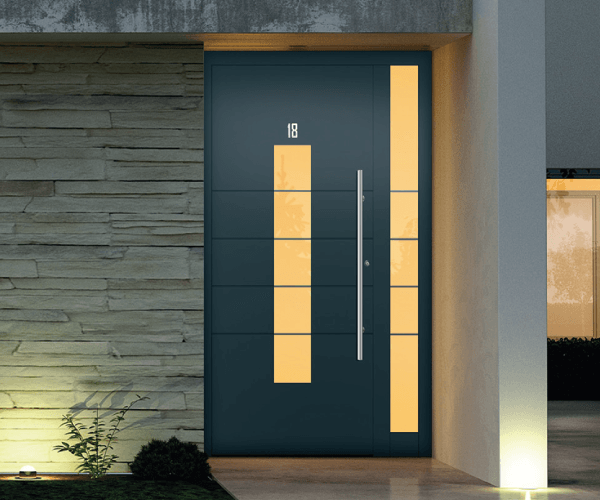 These doors are characterised by slim sightlines, safety glass and maintenance free profiles. They are also PAS24 certified. Fitted with a hook lock for your security all IDAW doors come with a full 5 year warranty. 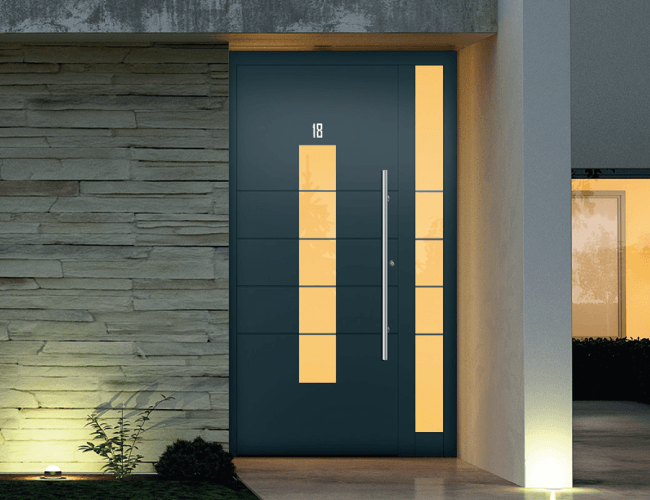 Fitted with a hook lock for your security all IDAW doors come with a full 10 year warranty, whilst our design and engineering tests have shown that these doors have a life expectancy in excess of 25 years. Totally bespoke single doors designed and manufactured by KAT to fit your application. Excellent thermal, acoustic and security performance. 28mm square bead is our standard.